As promised by Sony, android 4.3 firmware update has already been rolled on Xperia Z1 and Z Ultra a week ago and yesterday we saw android 4.3 party arriving on Xperia Z, ZL, ZR and Tablet Z. 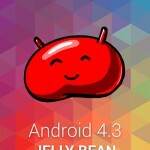 Now as per Sony’s post Xperia SP, T, TX and V are left behind with android 4.3 update which will receive directly from android 4.1.2 update. 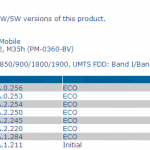 Just now we spotted Android 4.3 12.1.A.0.253 firmware certified for Xperia SP C5302, C5303 and C5306 on PTCRb website. 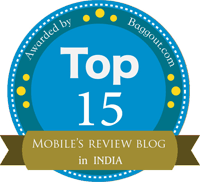 As per the date of certification it should come by the end of year 2013 or in early starting of year 2014 hopefully. 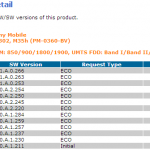 Check the certification of Android 4.3 12.1.A.0.253 firmware. At present Xperia SP is on android 4.1.2 12.0.A.2.254 firmware which is suffering from many bugs like poor camera quality, poor memory management, reboot issue, touchscreen unresponsive issues. 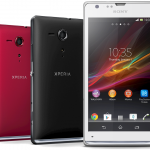 Android 4.3 12.1.A.0.253 firmware on Xperia SP will bring the same “White UI, New Xperia Themes and Sony’s Smart Camera app” just like what Xperia Z, ZL, ZR and Tablet Z saw last night. 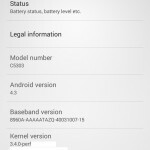 Are you excited Xperia SP users, finally android 4.3 is coming on your beloved device…Do let us know which bugs you are facing on present android 4.1.2 firmware on Xperia SP. no ETA it should come by end of this year or hopefully early next yr.
Sir how about xperia v? 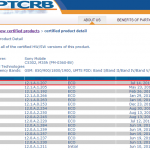 Why is it that until now theres no certification from ptcrb. 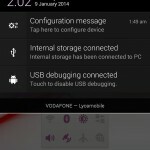 how it come that the xperia l have the latest firmware but t tx and esp my v doesnt have?? 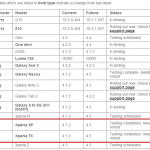 Xperia v t tx will be getting update next yr now, I will be surprised if any update rolls for them this year. Even when Auto-rotate is off, Email app rotates. Very annoying while using it lying down on bed. Pathetic WiFi range and network catching issues. Screen goes blank most often while unlocking. (Has to press power button twice to see lock screen). Recently updated Smart Connect app which led to failure of Media server and Throw. Although its a app based bug, but still dev is SONY. There are few more, but don’t remember them ATM..
1) Sometime there is blank black screen on incoming call, cannot see who is calling. I need to double click the power button to see the callers name or number. 2) Soundhound or Shazam cannot find microphone to listen the music and recognize it, I need to turn of and on device and then it’s work. 3) Sometime camera is not recording the video, its turns of automatically, it works after restarting the device. 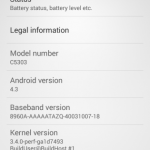 Can anybody say that when will Xperia T be upgraded to 4.3. Sony should realize that patience also havelimit. Sony Ericsson service was better than Sony.